In the face of environmental change and persistent public health issues, how do we develop more resilient sustainable food systems? This question, and others, are at the heart of research initiatives selected to receive 2018 Emerging Areas of Research awards from Indiana University Bloomington. The Emerging Areas of Research program, created as part of the Bicentennial Strategic Plan for IU Bloomington, is co-sponsored by the Office of the Provost and the Office of the Vice Provost for Research to invest in key areas of research and creative strength on the IU Bloomington campus. This year’s competition resulted in 21 proposals representing nearly 250 faculty at IU Bloomington. 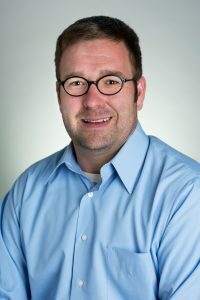 The “Sustainable Food Systems Science” initiative is led by James Farmer, a faculty member in the School of Public Health-Bloomington, along with co-leaders Eduardo Brondizio, Analena Bruce, Daniel Knudsen, Jennifer Robinson and Peter Todd, as well as other collaborators. The research team will receive up to $2.5 million for the four-year initiative. The goal of the sustainable food systems Emerging Areas of Research initiative is to analyze food systems from varying perspectives and in both local and international contexts to identify what it takes to create environmentally sustainable, socially just and resilient systems for food, from production to procurement. “We aim to identify the leverage points for building such systems, and to understand how those leverage points vary and how they contribute to food systems that are regenerative and just — not compromising environment, economic or social contexts,” Farmer said. Farmer is also co-director of the newly established IU Campus Farm.